Mixed (210) - 60% of the 210 user reviews for this game are positive. 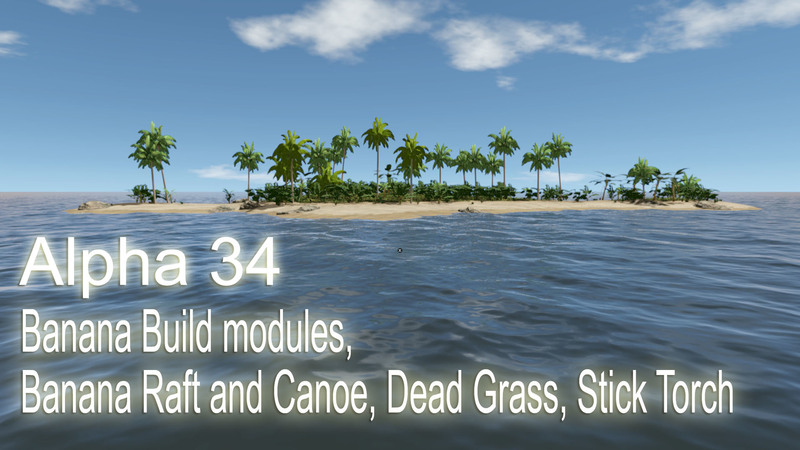 the new Escape the Pacific version 'Alpha 34' is now available. For this update we were mainly focusing on adding additional usages for Banana trees - there are new Banana Building modules, Banana Raft module and a Banana Canoe. Dead Grass can be used as Kindling and the Fire Stick can be used as a simple Torch. 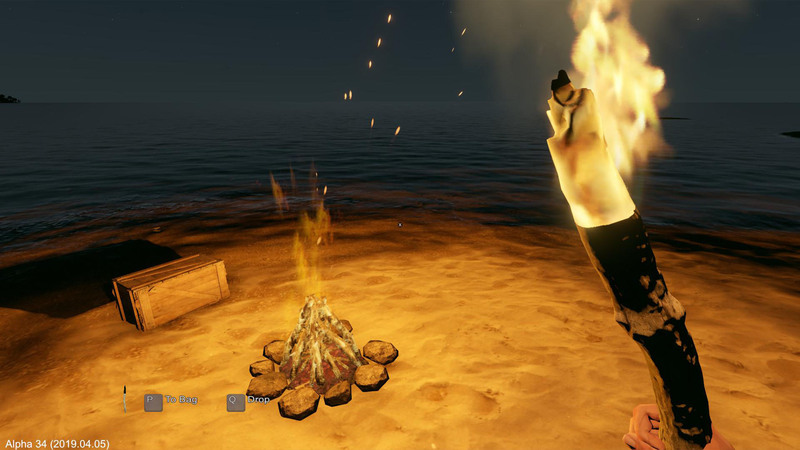 Campfires have gotten an updated look too. A couple of gameplay improvements were added and some issues were fixed too. 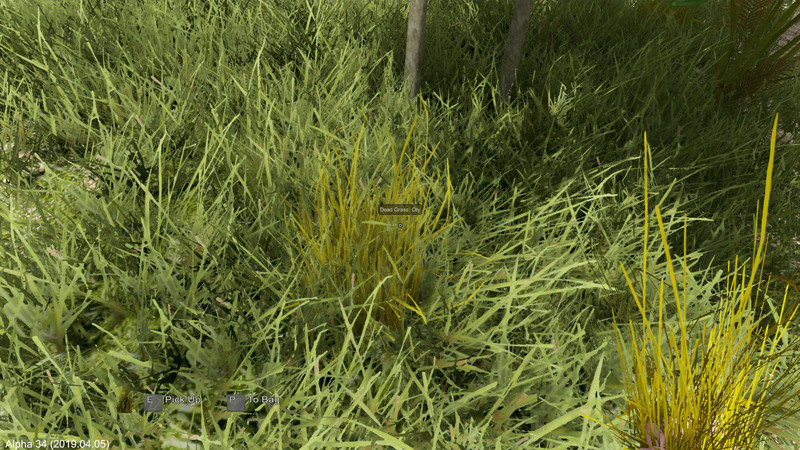 The new harvestable Dead Grass can be used as a kindling for Campfires - however it is a little harder to ignite than the kindling made from Coconut Fiber. We will continue to concentrate more on improving the gameplay and on adding more content to make our game more entertaining and longer playable. The additional plans include also the Fruit ripening, Fruit regrow, Soup, Cooking in Coconut pots, Door, Window, Spear, Smoker, Salt, Candle-lantern, Torch, Ship wrecks, Dolphins, Sharks ... We will also work on solving new issues and we will recheck some older issues too. Other new features will be added as implementing the planned features and fixing issues will allow us to. 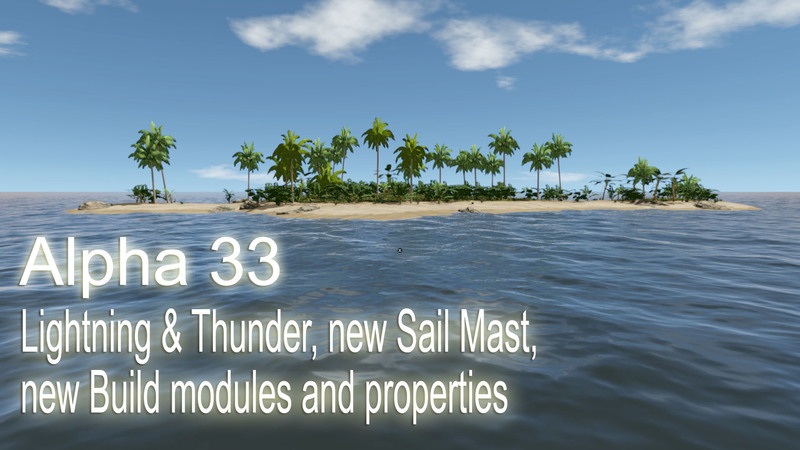 the new Escape the Pacific version 'Alpha 33' is now available. For this update we were mainly focusing on adding realistic Lightning & Thunder moving along with the center of the Storm. There is a new collectible Bandage used for crafting and a new Sail Mast with Wind Indicator. There are new Building modules with different Sun/wind/rain shielding properties. A couple of gameplay improvements were added and many issues were fixed too. The most interesting and unique new feature is the Lightning & Thunder effect which is a very nice and realistic add-on to our Storm mechanic. The Lightning system is travelling around with the center of the Storm and the Thunders are still heard a while after storms moved on. Hearing a silent Thunder indicates that a Storm is forming in far distance from that certain direction. There is a new collectible Bandage which can be used for crafting the 'Wind Indicator' and a new 'Sail Mast with Wind Indicator' which offers big help in setting Sails correctly based on the actual wind direction. Bandages can be found in some crates for now, later it will be possible to craft them from various resources. The new Sun/Wind/Rain shielding mechanic allows to set different shielding values for every different Building module. Shielding values are multiplicative so if some wall has a Wind shielding value of 60% and another wall besides the first has 40% - the effective Wind shielding value will be 76%. This engine requires to consider what type of Building to build depending on different environmental situations. The Save system was expanded due to this new Shielding mechanic and will require some optimization in the future because of the more complex Build modules. This update also provides some gameplay improvements. Oil liquid has now a yellow color and all of the Water holder objects have got 2-3 times more precise indication of the water level inside: for example blue/yellow planes inside the Coconut pot for different water levels. The object dragging mechanic has also been updated and from now on objects aren't falling through the Raft base modules when they are dragged. Water and Clouds quality can now be defined in the Options menu. We will continue to concentrate more on improving gameplay and on adding more content to make our game more entertaining and longer playable. The additional plans include also Fruit ripening, Fruit regrowing, Soup, Cooking in Coconut pots, Door, Window, Spear, Smoker, Salt, Candle-lantern, Torch, Ship wrecks, Dolphins, Sharks ... We will work also on solving the new issues and we will recheck some older issues too. Other new features will be added as implementing the planned features and fixing issues will allow us to. In Story Mode play as a lonely adventurer in the most advanced and complex survival game to date. Discover the cluster based endless world and face the most challenging latitude driven weather system taken from the real Pacific! The totally customizable raft mechanism offers perfect freedom in designing and building your ideal water vehicle. Master realistic sailing and navigate through the world using triangulation and a Sextant. Experience the advanced dynamic fire and protect it from the wind and weather. Immerse yourself into atmosphere of the early 1800's, search for clues and find a way back to civilization!